Our client, Mr I, suffered brain injuries after he was punched in the face whilst waiting at a taxi rank, causing him to strike his head on the pavement. He had ongoing cognitive difficulties including difficulties with word finding, as well as a personality change. Mr I had attended a football match at Wembley with his brother-in-law and friends. They returned to Gravesend, Kent where they attended a pub. At around 11pm they left the pub and waited at a taxi rank for a taxi home. Some youths were at the front of the queue and were being rowdy, swearing and jumping in and out of taxis. Mr I went to the front of the queue to ask them to stop swearing as there were children waiting in the queue. One of the youths started swearing at Mr I and a second man jumped out of a taxi and punched Mr I in the face. Mr I fell, striking is head on the pavement. At first Mr I was hardly moving and was not talking. He had blood on his face and coming out of his ear. He was placed in the recovery position and an ambulance was called. The police arrived within minutes and he was taken to Darent Valley Hospital in Dartford. A CT scan revealed Mr I had bi-frontal contusions and a large intra-cerebral haematoma to the left frontal region. He was subsequently transferred to Kings College Hospital where he underwent treatment for the brain injury and cuts to his lips. A month later Mr I was discharged to a neuro-rehabilitation unit. He was able to walk but had ongoing dysphasia (deficiency in the generation of and sometimes comprehension of speech). He was noted to have cognitive difficulties including difficulties communicating, reduced high level balance, reduced exercise tolerance, decreased insight, pain to his right lower leg and hearing loss. By the time Mr I was discharged 5 weeks later he had made an excellent physical recovery, but had ongoing problems with word finding, short and long term memory, mental control and planning and organisation. Prior to the assault Mr I had worked as a warehouse supervisor. However after the assault he was no longer able to work as a supervisor and was only able to undertake mundane tasks, with colleagues making allowances for his disability. Mr I had been a laidback individual prior to the assault. Unfortunately the accident had caused a complete personality change, causing him to now be tactless and lacking in affection. The defendant was found guilty of inflicting grievous bodily harm and jailed for two and a half years. Graham Bell, specialist personal injury lawyer, was instructed to act on behalf of Mr I to bring a claim for compensation. A claim was considered against the defendant; however it was found that the defendant lacked sufficient financial means to pay any judgement made against him. A claim was therefore submitted to the Criminal Injuries Compensation Authority (CICA) on behalf of Mr I. Graham obtained reports from a psychologist and care expert. Graham successfully obtained a settlement of £341,160 to compensate Mr I for his pain and suffering and to pay for his future care needs. 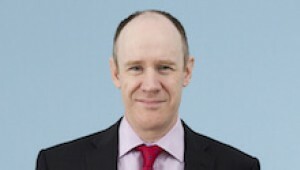 Graham specialises in criminal injury cases. If you would like to ask Graham a question about a potential case, or if you have a general query about any personal injury, contact Graham Bell at Thomson Snell & Passmore solicitors on 01892 701358 in confidence.